Friday, Friday and Kazen L.L.P. Friday, Friday and Kazen, L.L.P. "As amicable as possible, but as tough as needed." Friday, Friday & Kazen, L.L.P. 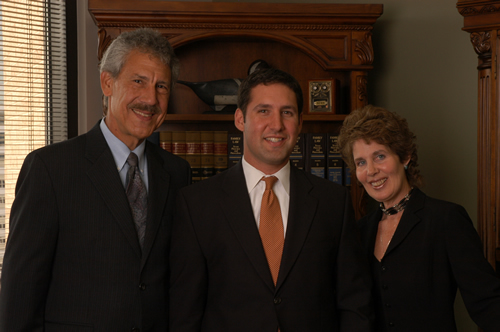 The firm of Friday, Friday & Kazen, L.L.P., has over 75 years of collective experience in handling family disputes. Barbara Anne Kazen and Phil Friday have been certified as Specialists in Family Law since 1975, as part of the first group of lawyers thus recognized by the Texas Board of Legal Specialization. Jonathan Friday is recognized as one of the rising stars among Family Lawyers in Central Texas. Friday, Friday & Kazen specialize in handling complex property divisions and contested child matters, including custody, visitation, and child support. We are also proficient in handling appeals in those rare cases where a trial court may have committed reversible error. The firm understands that divorce and child-related disputes are inherently painful, and that all reasonable people want to handle their family disputes as simply and amicably as possible. We work hard to settle disputes with a minimum of conflict and expense. We employ mediation and collaborative techniques whenever possible. However, when circumstances require action, such as when opponents refuse fair settlements or resort to inappropriate tactics, we are as savvy and as tough as they come. The members of Friday, Friday & Kazen are highly respected by the Judiciary of Central Texas, and extremely effective in the courtroom. Friday, Friday & Kazen utilize a team approach for their clients. Each step of a case is handled by the Lawyer or Legal Assistant who can manage the task in the most cost-effective and efficient manner. No law firm can completely eliminate the stress of a family dispute, but Friday, Friday & Kazen will never make a case harder than it needs to be to obtain a fair result. Copyright (c) 2005 Friday, Friday and Kazen, L.L.P.